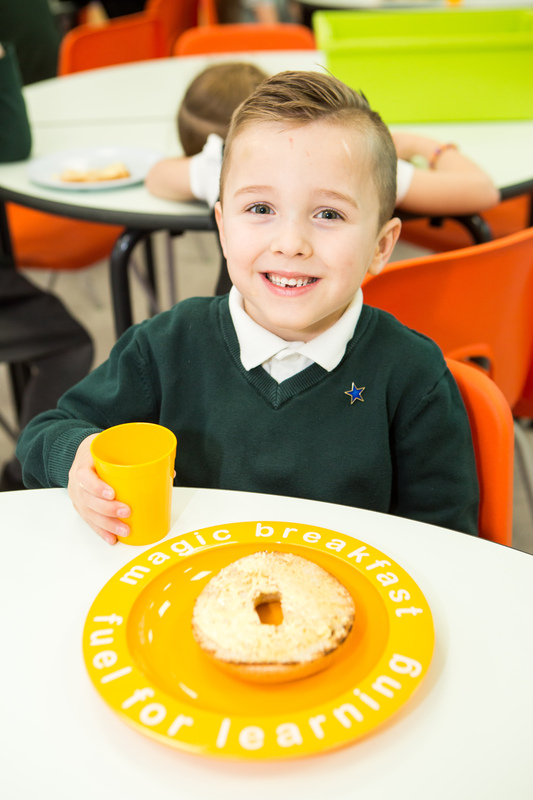 We operate a very successful Breakfast Club which most pupils attend every day. The Club is free of charge and all pupils are welcome. Breakfast Club opens at 8am every morning and pupils enter via the playground entrance. Parents and Carers are welcome to accompany their child into school and down to their cloakroom areas up until 8.30am. The vast majority of pupils at Forest are in school for an 8am start. Nursery pupils are entitled to 15 hours of free education each week. This equates to a 3 hour session per day which parents can opt to take across mornings or afternoons, currently. FS1 am session: 08:30 am – 11:30 am. FS1 pm session: 12:15 pm – 3:15 pm. 08:55 am – 3:00 pm. Parents/carers of enrolled children are welcome to join in with the learning at the start of each session. At the end of the session children should be collected from the doors leading into the Foundation Stage Unit. At the end of the school day, children will be taken to the main playground doors to await collection by their named parent/carer. Children in Years 5 and 6 are allowed to walk home alone but only if we have written consent from their parent/carer. Please note that for Safeguarding purposes children may only be collected by a person who is a ‘named contact’ and the school office has written confirmation of this fact. We do not allow children to go home with older siblings if the family member is under 16 years of age. Any child who is late arriving at school needs to be taken to the main Reception area where they will be signed in by a member of the administrative staff. Susan Galley, Parent Support Advisor (PSA) monitors attendance and punctuality on a daily basis and is available to meet with you to discuss any difficulties you may have in bringing your child to school on time.